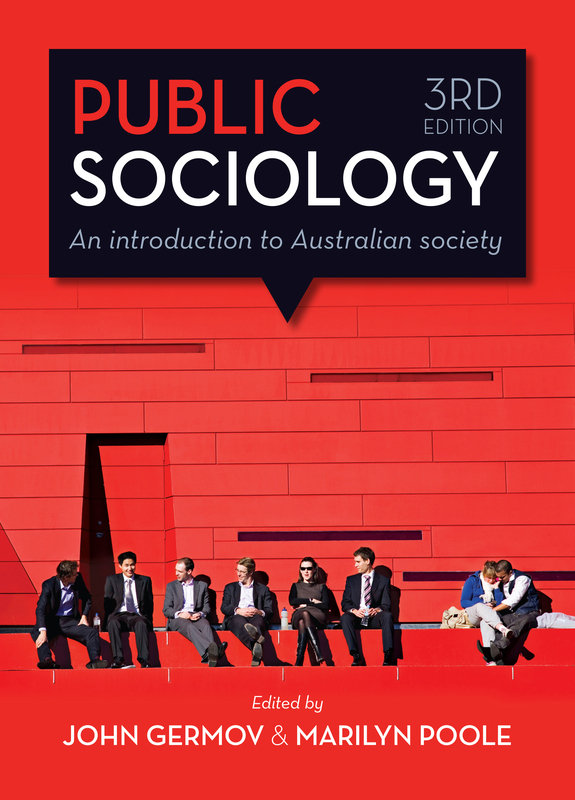 The third edition of the most widely used introduction to Australian sociology, designed as a flexible learning tool. It takes an applied approach, demonstrating the value of a sociological perspective on contemporary Australian life. What is the connection between our personal troubles and underlying public issues? Public Sociology focuses on the utility and relevance of a sociological perspective to every aspect of social life. The aim is to encourage in students the ability to critically reflect upon the forces - both local and global - shaping their own lives and the communities in which they live. The previous two editions of Public Sociology have established the book as one of the most popular and accessible introductory sociology texts. The third edition has been thoroughly revised and updated to incorporate important themes in contemporary society including drug culture and digital technology. The authors reveal how the tools of sociological training and an empirically grounded sociological perspective are essential to understanding and engaging with contemporary Australian society. NEW TO THE THIRD EDITION: three new chapters on the sociology of drugs, digital sociology, and the social determinants of health and illness; all chapters thoroughly revised and some expanded; expanded glossary and updated introductory vignettes; enhanced book website with extra readings, YouTube clips, and case studies. JOHN GERMOV is Professor of Sociology and Pro Vice-Chancellor of the Faculty of Education and Arts at the University of Newcastle. He is the President of the Australasian Council of Deans of Arts, Social Sciences and Humanities (DASSH), the peak national body on research and teaching in humanities and social sciences. He is the author and editor of 19 books including Second Opinion: An Introduction to Health Sociology, A Sociology of Food and Nutrition: The Social Appetite (with Lauren Williams), and Histories of Australian Sociology (with Tara McGee). MARILYN POOLE is an Associate Professor in Sociology at Deakin University. Although now retired and holding an honorary appointment, she continues to write and do research in the areas of gender, ageing, and volunteering. She is the editor of Family: Changing Family, Changing Times (Allen & Unwin, 2005), co-editor of A Certain Age: Women Growing Older (Allen & Unwin, 1999), co-editor of Sociology: Australian Connections (3rd edn, Allen & Unwin, 2003), and co-editor of Public Sociology: An Introduction to Australian Society (3rd edn, Allen & Unwin, 2014).